using seismic methods. 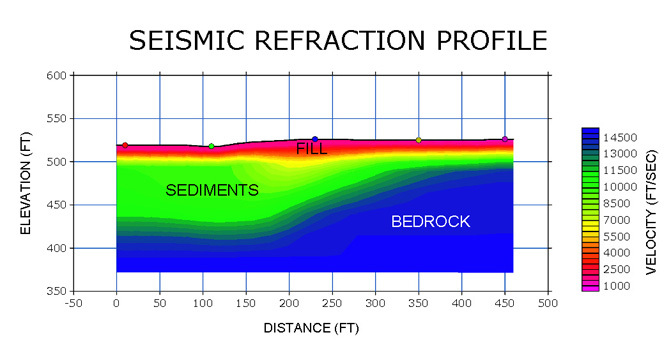 These methods delineate changes in the seismic velocity of the rock. 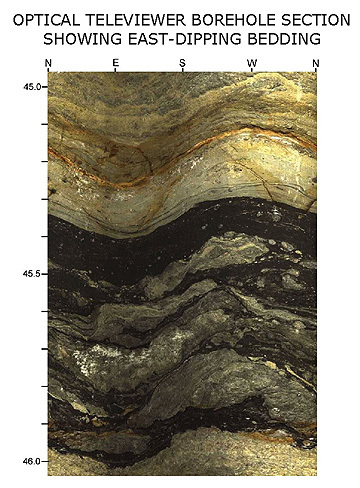 This information can be used to assess rippability, and define changes in the rock weathering and fracturing characteristics for the planning and design of roads, pipelines and tunnel excavations. Additionally, specialized borehole imaging can provide 3D oriented images of fractures and other features that may be pertinent to the design of tunnels, dams, etc. 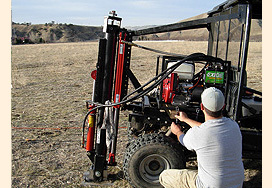 using specialized surface and borehole seismic methods. These methods measure the compressional (P) wave and shear (S) wave velocities of fill, sediments, and rock. 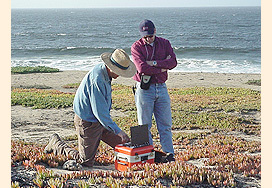 Engineers use P and S wave velocities and other information to determine load bearing capacities, differential settlement, liquefaction potential and other site parameters. using seismic methods. 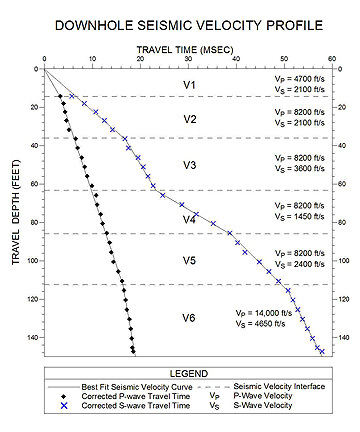 These methods determine variations in seismic velocity with depth as they relate to lower velocity sediments and underlying higher velocity bedrock. This information is used by geologists and geotechnical engineers for the planning and design of earthen embankments, identification of borrow areas, design and placement of landfills, etc. 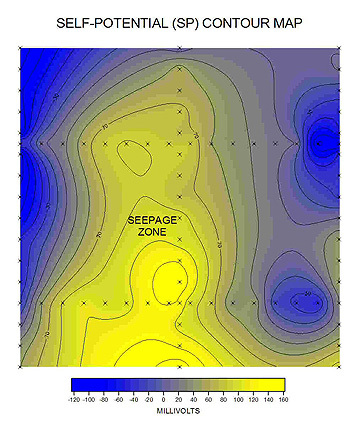 Additionally shallow overburden can be imaged using ground penetrating radar for routing of pipelines. as they relate to permeability/water bearing potential or possible subsurface seepage. This information can be obtained using electrical or streaming potential geophysical methods and can be used for the evaluation of existing levees and earthen embankments, or for the planning of new facilities.